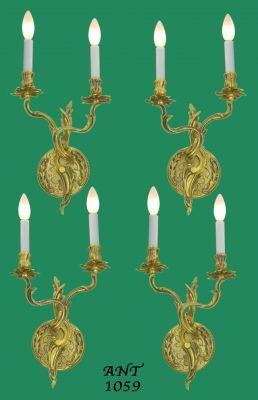 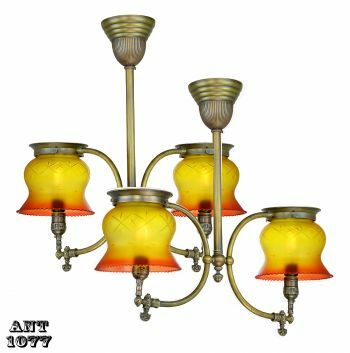 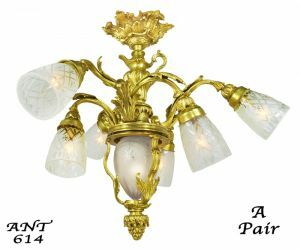 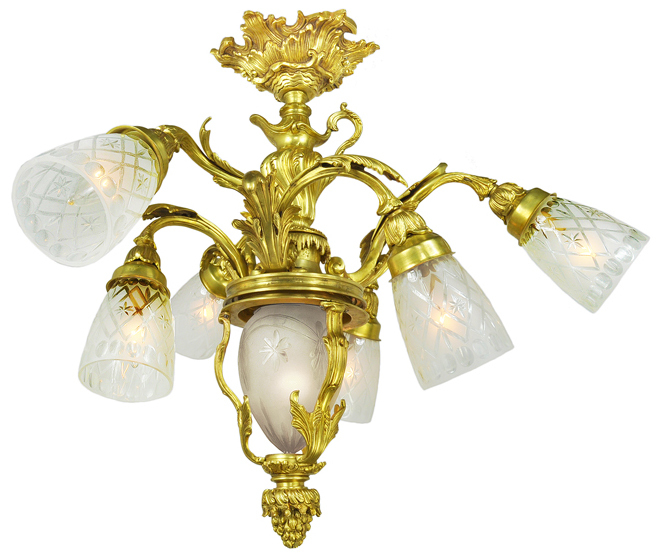 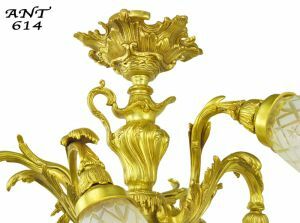 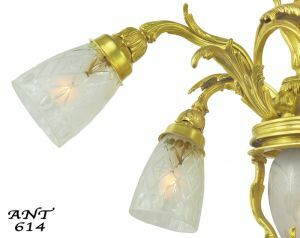 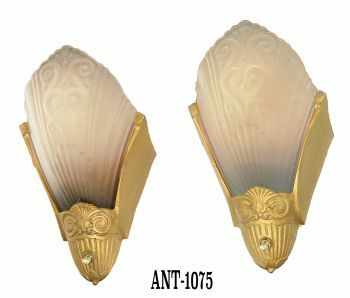 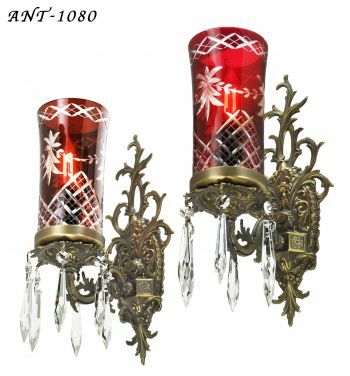 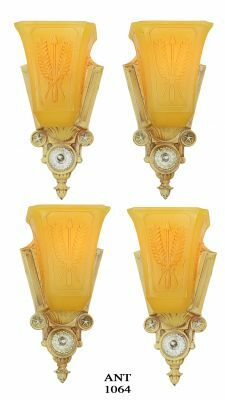 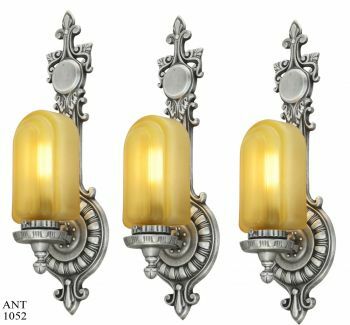 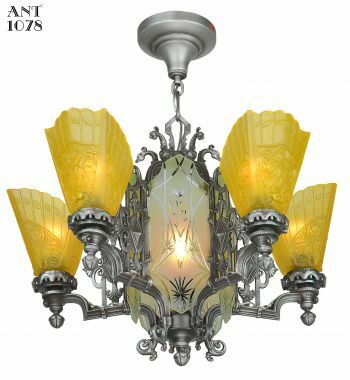 Good quality French chandeliers with rococo design elements, and early French gas and candelabra shades. 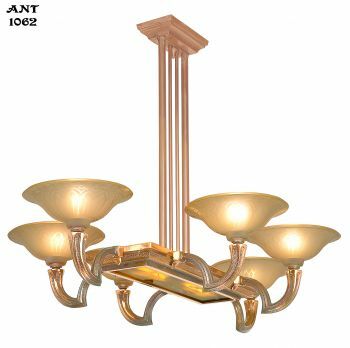 Outstanding quality. 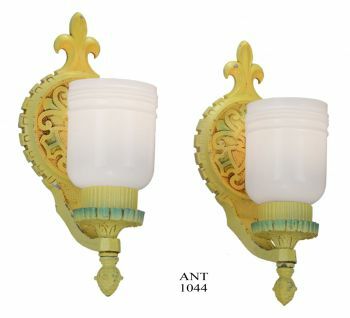 We removed the French sockets and replaced them with American normal medium base sockets in our UL shop. 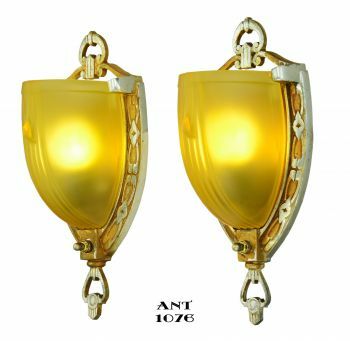 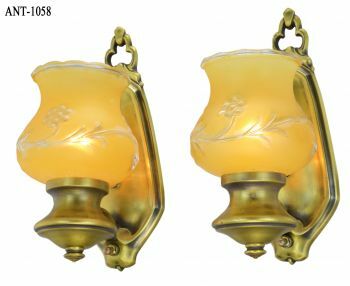 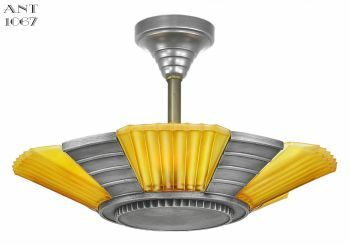 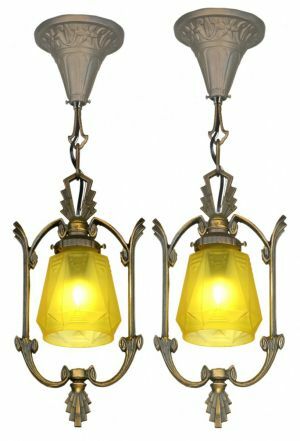 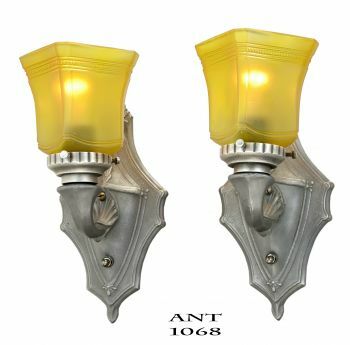 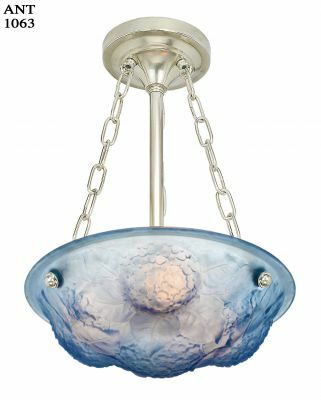 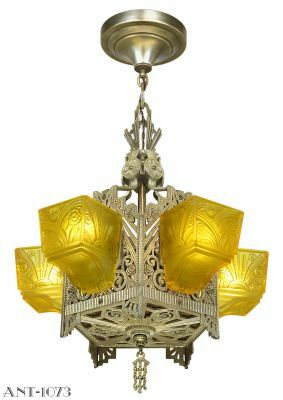 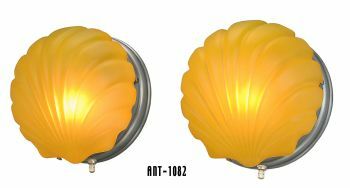 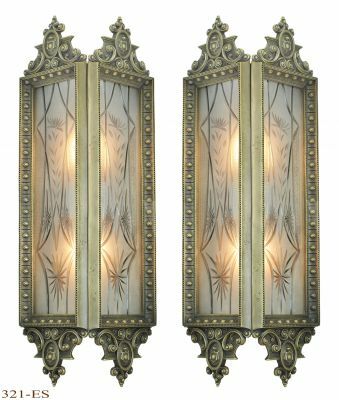 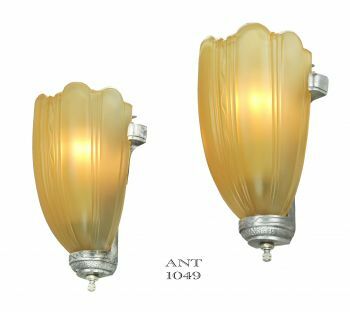 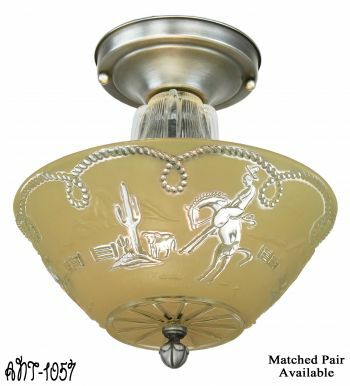 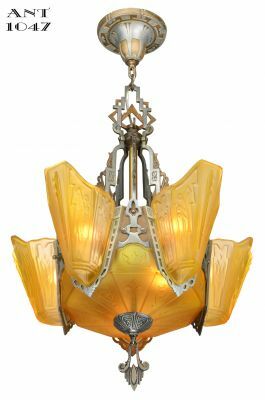 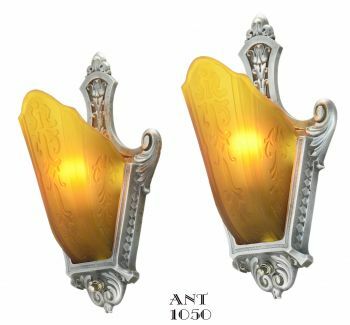 The fine quality cut glass shades gives this pair of chandeliers the upscale look they deserved. Each socket will accept a 100 watt light bulb. 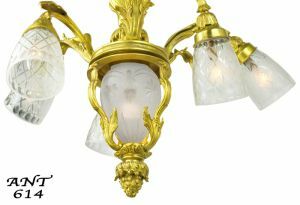 We did not power it up for pictures, as too strong of bulb blows out the focus of our camera lens. 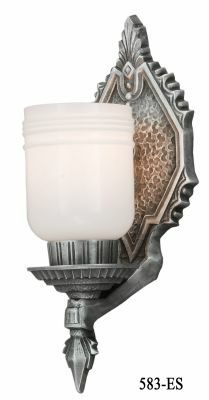 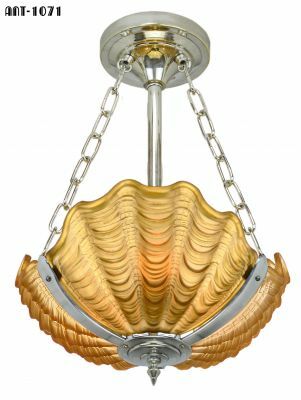 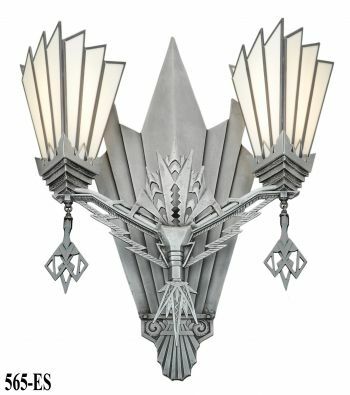 We always use small 25 watt or lower bulbs in our pictures, so the details of the light fixtures are revealed. 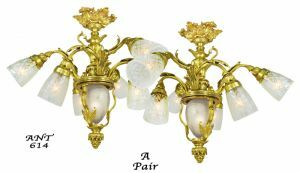 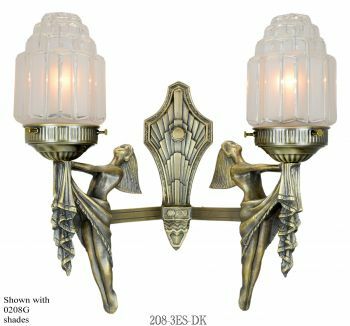 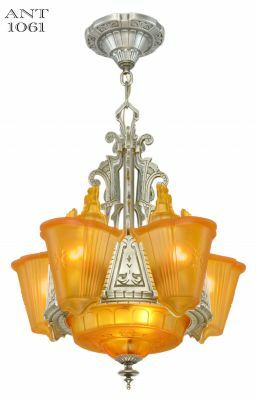 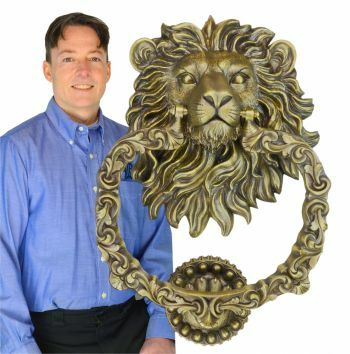 $2,500.00 for the UL re-wired pair of solid brass/bronze French chandeliers...with their cut shades as shown...plus careful packing and shipping.